Daily Rantings: Help !!! Rising Crime .. What can we do about it ? One of my cousin Mr. Ahmed Pasha also known as Salman Bombay who is originally from India. 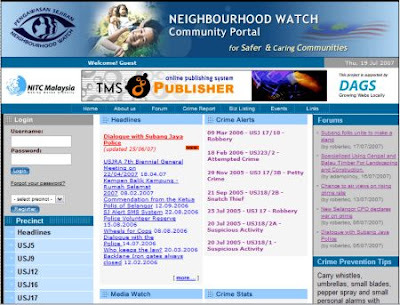 He is reported to be stabbed by three unidentified persons on the night of Saturday (11th August 2007) on Jalan Kepong Industrial Park. He used to work in restaurant munch corner. Can you please help us to know his status. We have no friends or relatives living in Malaysia who can find out his info.